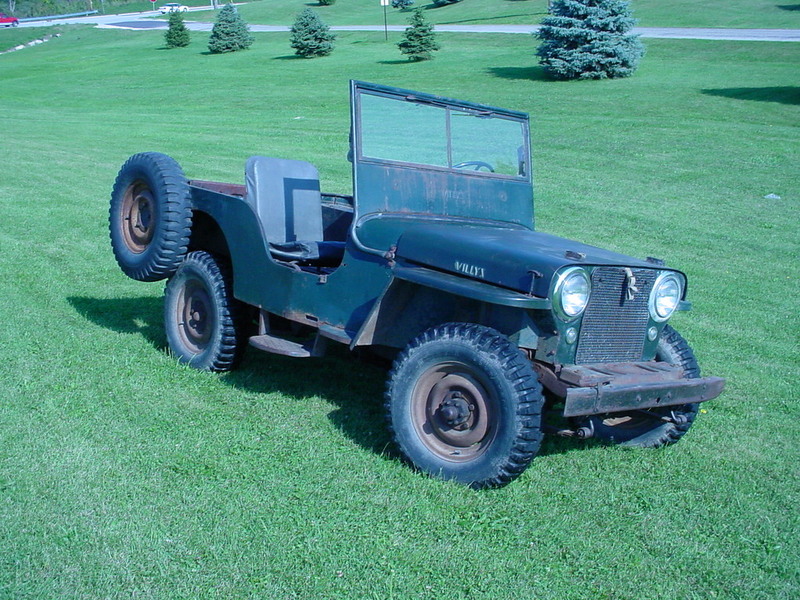 This is my attempt to create a web page about our 48' Willy's CJ2A's. The first CJ2A that I refer to as the project has not been driven in nearly 16 years, but we've rolled it all around the driveway and in and out of the second garage that I have now built. 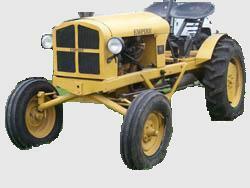 We are no closer to having it done as we bought a second CJ2A at a farm auction and spent all the body money on it. As you can see in the upper left corner, we have had the rolling chassis nearly completed now since the end of 1999. 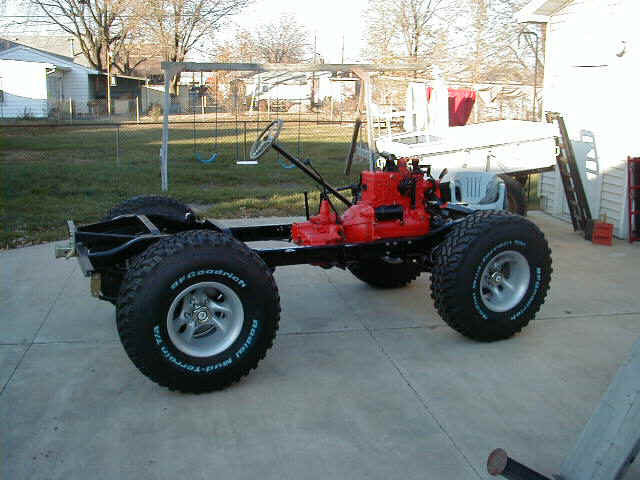 It needs the 70 CJ-5 twin reservoir master cylinder and bracket installed for the new 4 wheel disk brake conversion. I want to try and keep in the stock location of the through floor pedals. I also need to plumb the brake lines to the new stainless steel braided lines going to the calipers. I also need to install some taper shims to make the new Advance Adapters two piece steering link work correctly. The tie rod ends are hitting the spring pack clips on full turns and the tie rod to right hand side knuckle will not connect due to the 3" lift. Running condition, original paint, tires, exhaust-less muffler, 20K miles, surface rust only on the floor, minor rust though spot on the passenger side rocker, original half cab canvas and bows, Ag weight, grill screen, front license bracket, steps, drawbar hitch, governor, Harrison heater, vacuum wiper and manual wiper. After having it for 3 weeks I've managed to get everything electrical working except the blower motor and it turned out to have a football size mouse nest made from the cotton batting and horse hair from the front seats. Got the title in the mail a few weeks later and it turns out it is actually a 1948 CJ2A rather then a 46 but this in outstanding condition. Got it licensed and drove it to work on August 23rd 2004. The picture in the upper right corner is the day after I got it home.